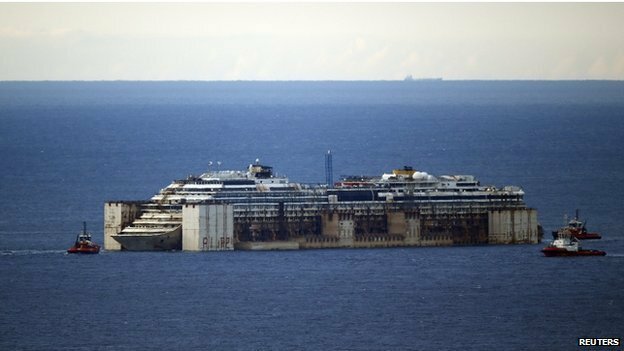 After a 200 mile journey, Costa Concordia has arrived at the port of Genoa this morning, where she will be broken up for scrap in a process estimated to take around 2-years. A 10-15 knot northerly wind has kept the ship around a mile offshore, but she is expected to reach the industrial port of Voltri, just outside the main harbour in Genoa, later this afternoon. The overall salvage effort is expected to cost Carnival Corporation, owner of the ship’s operator, Costa Cruises and its insurers more than 1.5 billion euros. A consortium led by Italian engineering group Saipem and Genoa-based San Giorgio del Porto will break up the wreck in an operation which sources close to the project have said could cost 100 million euros and take up to two years. 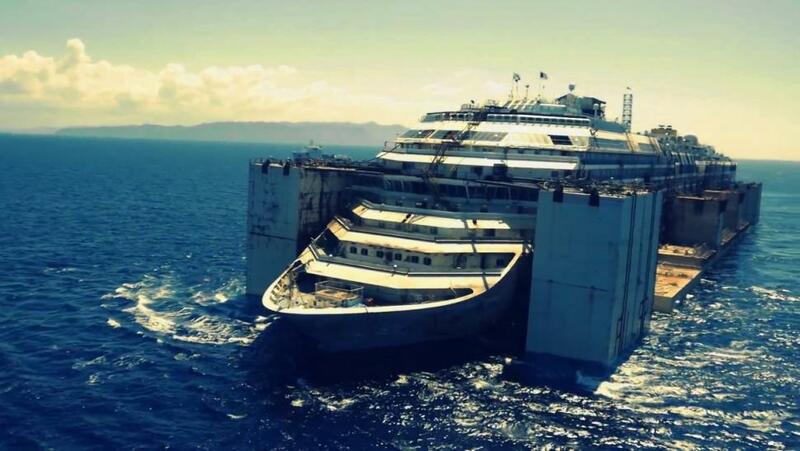 “Costa Cruises has done their work and they’ve done it very seriously as it was their responsibility to do because they were responsible for the disaster,” Galletti said. Prime Minister Matteo Renzi is expected in Genoa later today to hail the completion of the operation. Captain of the Costa Concordia, Francesco Schettino is on trial for manslaughter, causing a shipwreck and abandoning the ship before all the passengers had been evacuated – even though he has claimed that he fell into a lifeboat. The disaster cost the lives of 32 people, the body of one is still yet to be found. are they going to break it up or repair and rename the ship that nobody knows should show pictures in the stages to been dismantled families of the 32 that lost there loved ones peace of mind its been scraped as for the captain should get life sencence per passenger for total dis-regard safety of his passengers and crew. So very true think of the lives that were lost, so tragic.